The Technology Track allows organizations to showcase their software and/or hardware relevant to the bioinformatics / molecular biology community. To conduct a Technology Track presentation, organizations must complete the on-line sign-up form including a brief description (50 words maximum) of the talk and a one (1) page Technology Track presentation overview (PDF) which will provide the delegate with additional details about the technology being presented. The presenter of the Technology Track must be a registered and paid delegate of the conference. 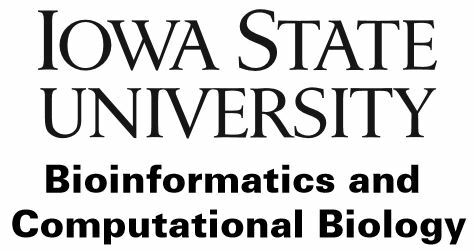 **Does not include conference registration** Presenters must be registered to attend ISMB in order to provide a presentation. Presentations occur as part of the parallel track system. All individual time slots are on a 20 minutes schedule (3 talks per hour). Presenters will be provided with a Windows-based desktop computer and Internet access. If a different operating system is required presenters should bring their own computer and contact the audio visual team at least 24 hours before you are due to give your presentation. If you intend to use a Windows computer provided by the conference for your Technology Track presentation, please bring a CD/Flash-drive containing any software and presentation material that needs to be loaded, or make your software and other material downloadable via the internet. Within your time slot, you are at liberty to demonstrate your software in any way that you see fit: for example, you can combine one or more structured talks with live demos and question-and-answer sessions. Authors should provide handouts for attendees. Major sponsors will be given precedence for Technology Track presentation time slots. All submissions will be reviewed by the Technology Track selection committee and notification of acceptance will be forwarded no later than May 27, 2016. Technology Track presenters will be contacted by the conference organizers regarding presentation acceptance, Technology Track schedule, logistics and payment. Payment should not be made until organizations receive notification of acceptance.